Alliance Defending Freedom is pleased to introduce Michael P. Farris as its new President, CEO, and General Counsel. Michael assumed this post as the second ADF CEO, following Alan Sears, who served 23 years as the founding CEO of ADF. Alan will continue to serve ADF in his new role as Founder of Alliance Defending Freedom. "I look forward to joining the talented ADF team and our many friends and allies as we continue this mission of building freedom’s future together." 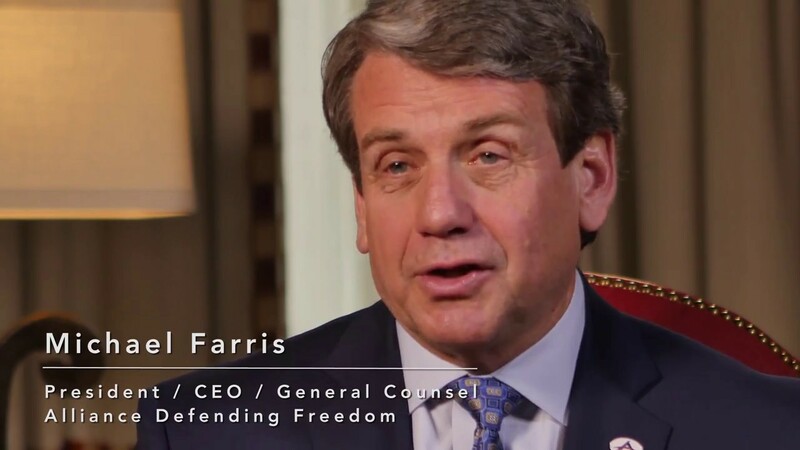 Michael P. Farris became only the second President, CEO, and General Counsel of Alliance Defending Freedom in the organization’s 23-year history in January 2017. He brings to the position a remarkably diverse background as an effective litigator, educator, public advocate, pastor, and communicator, and wide recognition for his successful work on both the national and international stage.